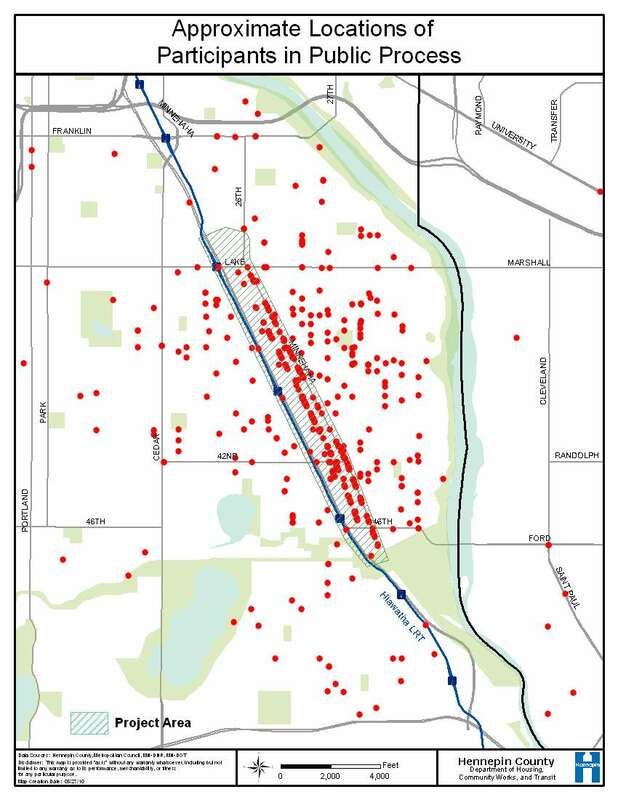 Since spring 2008, the project team, under the direction of the Community Advisory Council, has been undertaking a variety of outreach activities to get input into the Minnehaha-Hiawatha Community Works project. This initial input has collected information on area residents’ impressions of the Corridor, with a focus on the types of improvements that would best improve the quality of life for people in the area. Since the outreach began, more than 600 people have provided comments and input into the project. Please click the following link for a map showing where comments came from. The following documents show input from each event or input opportunity. For a compilation of ALL input through November 2008, click ALL INPUT. **Some of the documents on this website are in PDF format. Click here to download the free Adobe Acrobat Reader.